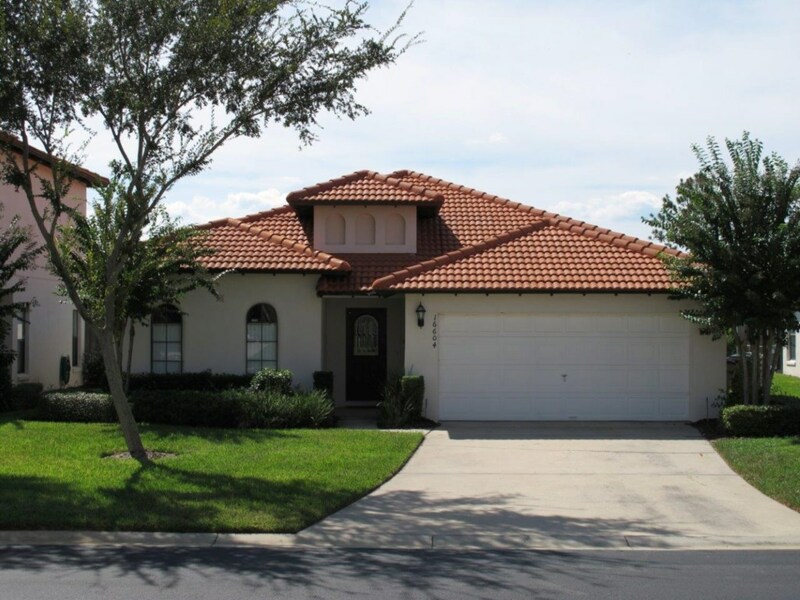 Our Villa is situated on a “premium lot” in the immaculate, pristine, gated community of High Grove Resort, Clermont Florida (seriously; this community is beautiful). 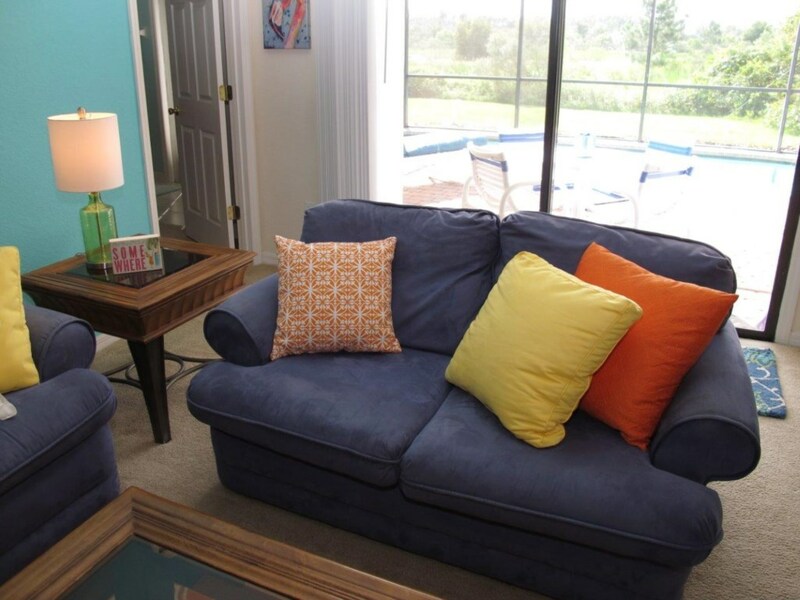 We are only 6 miles from the main entrance of Disney World and only 4 minutes from the Animal Kingdom Park. 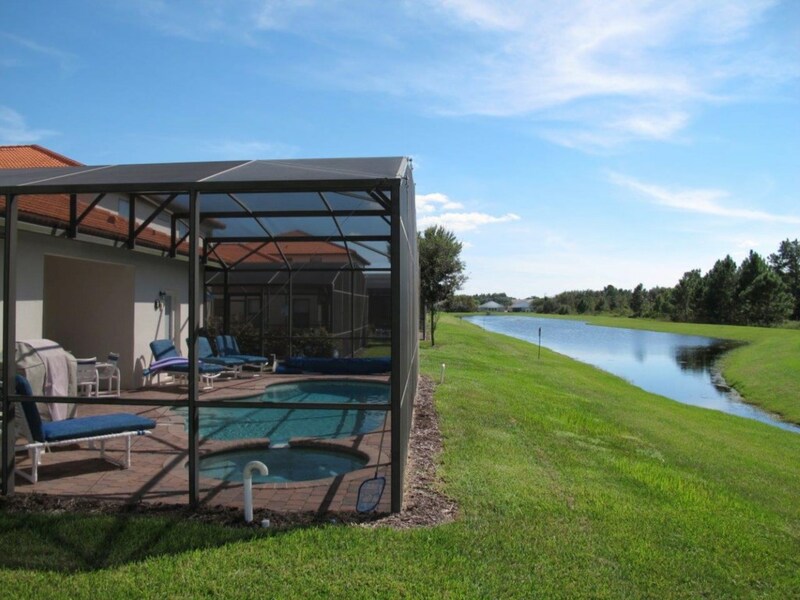 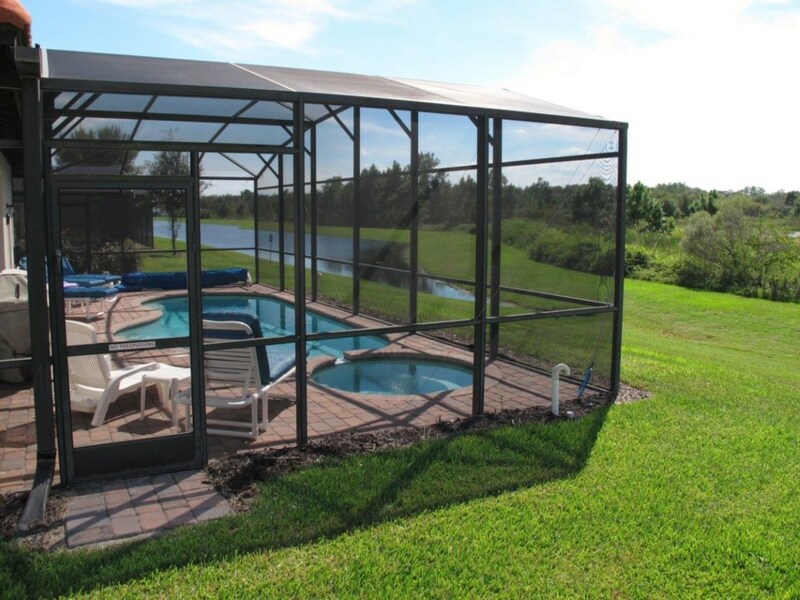 Our Villa backs onto a beautiful wetland conservation reserve and pond, with lots of Florida wild life to take in while sitting in the screened-in Lanai. 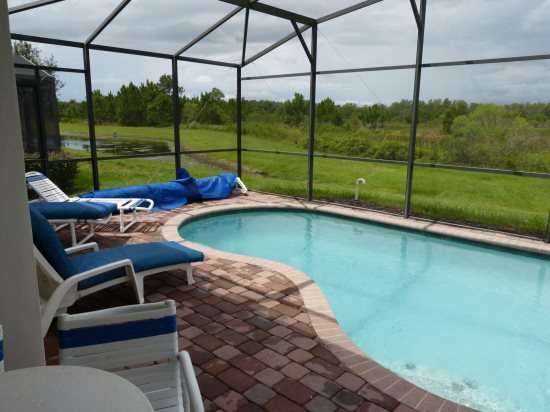 The back of the property faces south-west, so you have sun all afternoon and amazing sunsets to watch while swimming in the pool or relaxing in the spa at dusk. 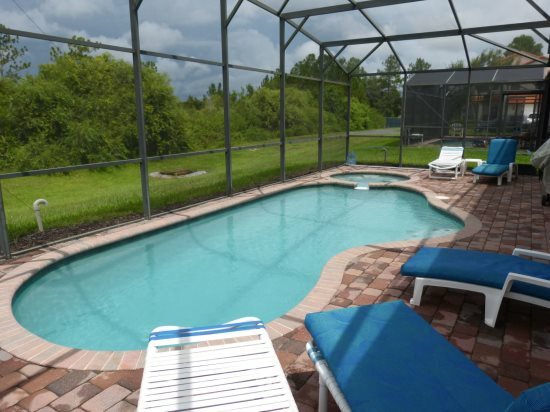 It is a 4 bedroom Villa with 2 masters (King beds in each) with ensuites and both masters have their own “private” entrance to the screened-in pool with spa and large BBQ. 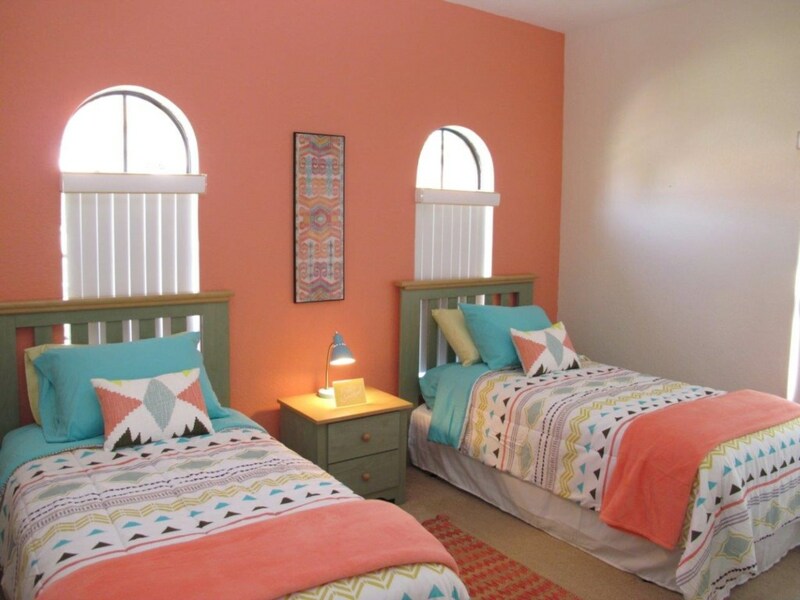 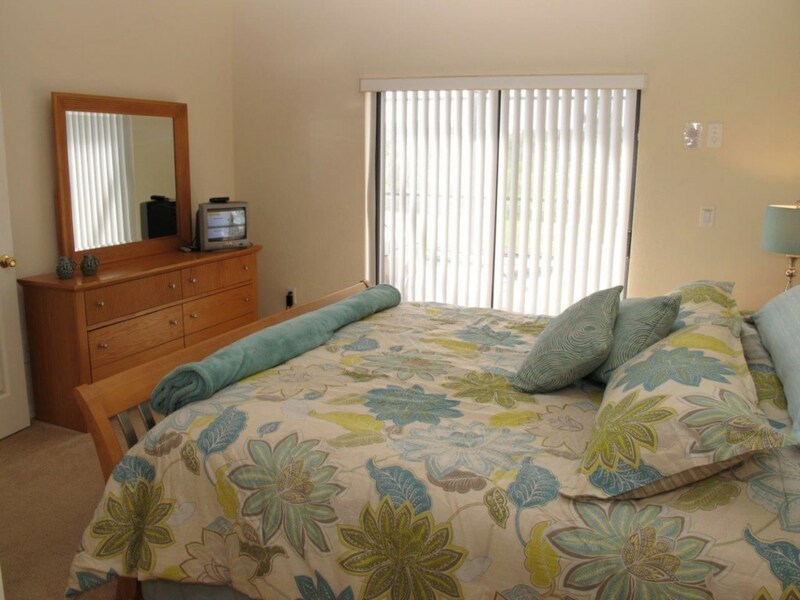 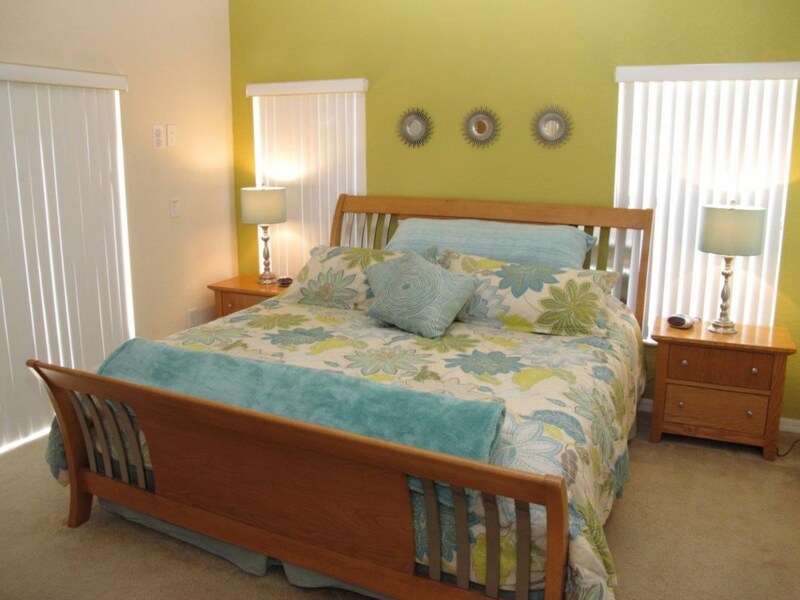 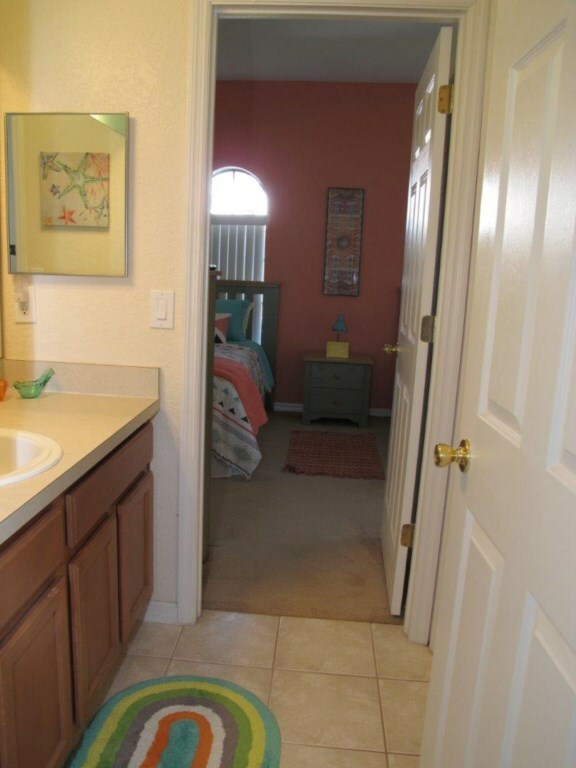 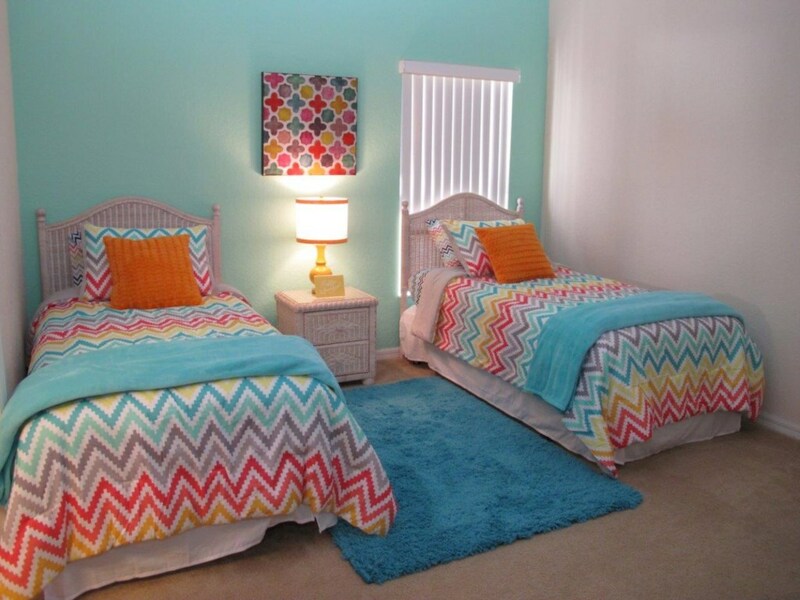 The other 2 bedrooms (each with 2 Twin beds) are at the front of the house and share a Jack n’ Jill bathroom. 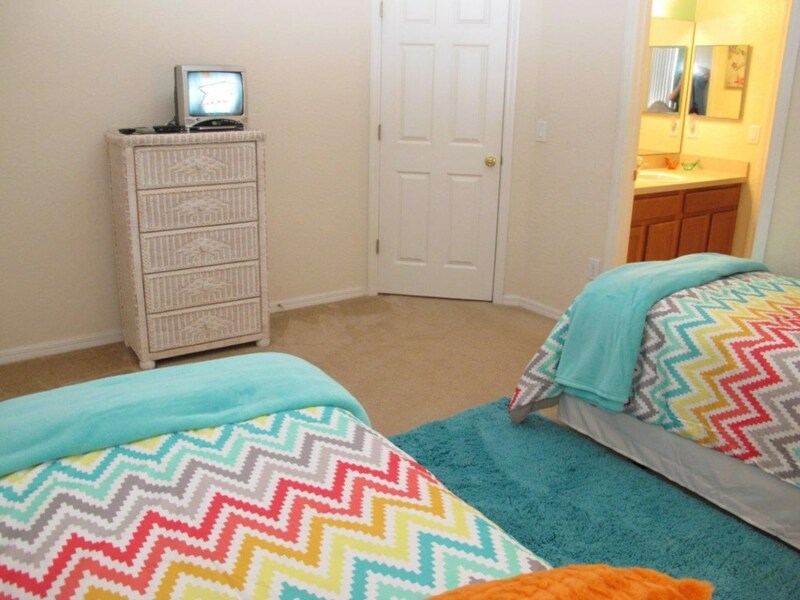 All the bedrooms have cable with flat screen TV’s. 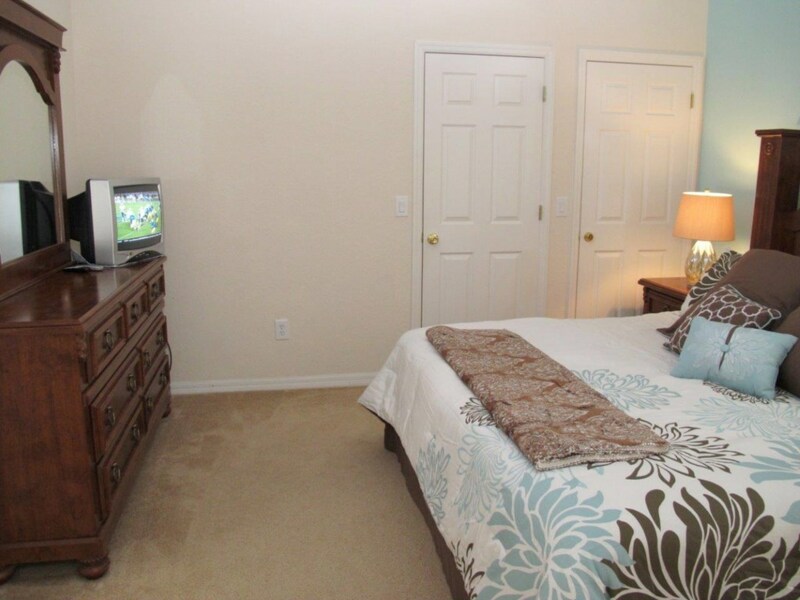 The larger TV in the living room has HD PVR, so you can tape your favorite shows while playing in the parks. 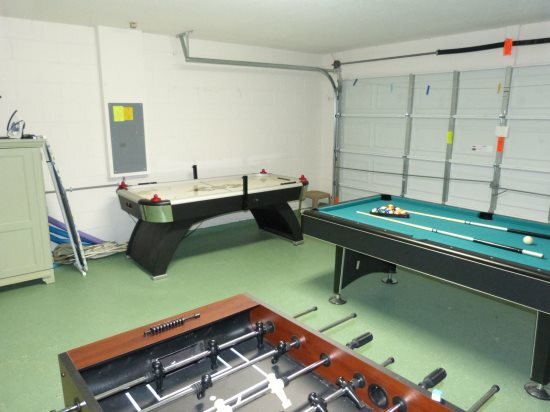 The garage is set up as a games room with pool, air hockey and foosball tables. 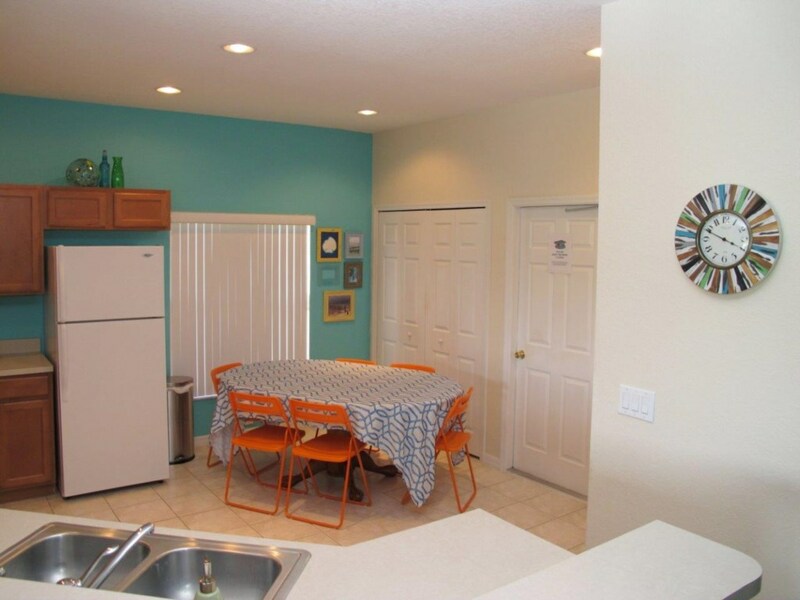 The house includes Wi-Fi/internet and free North American phone calling. 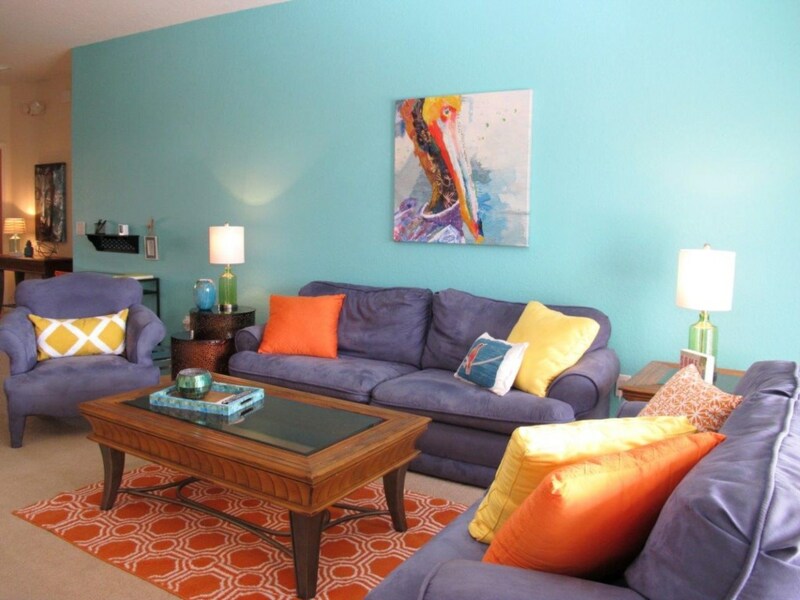 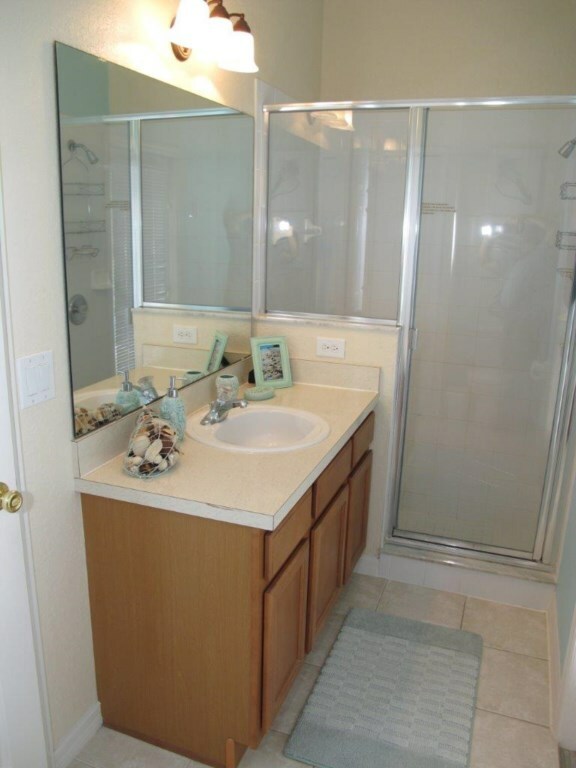 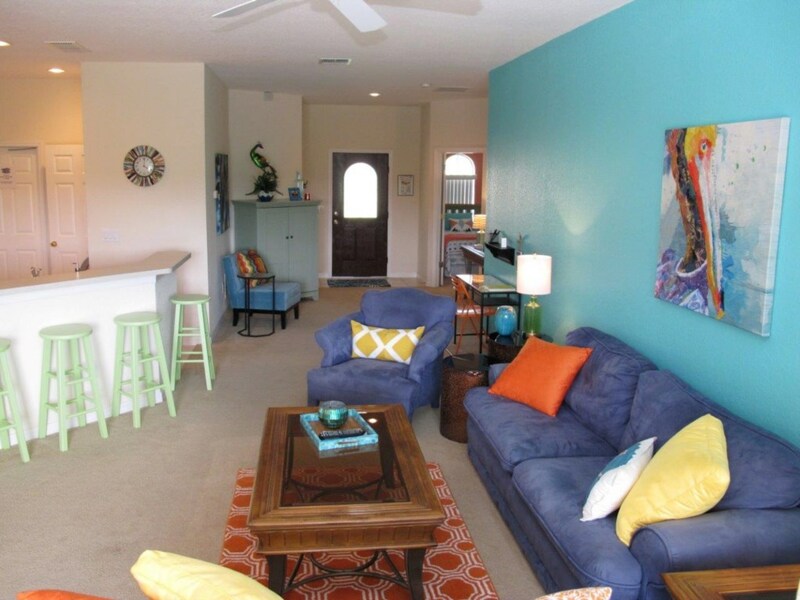 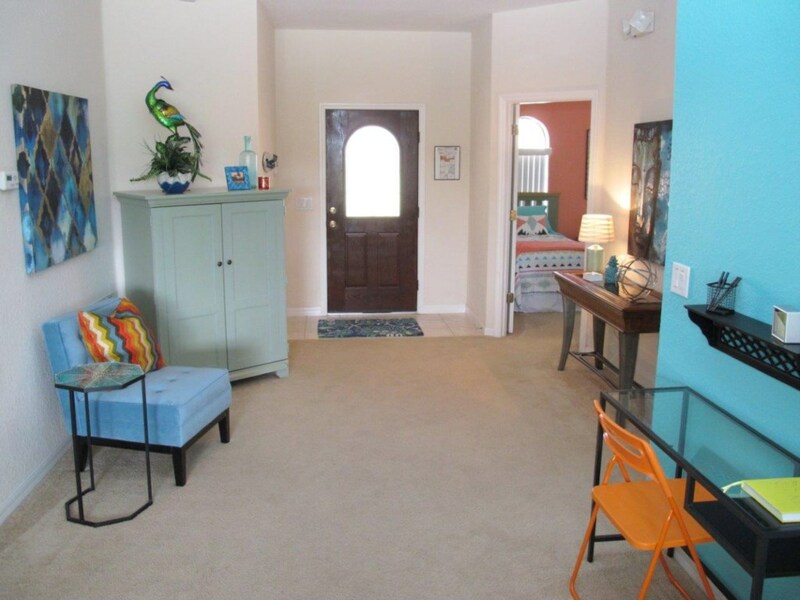 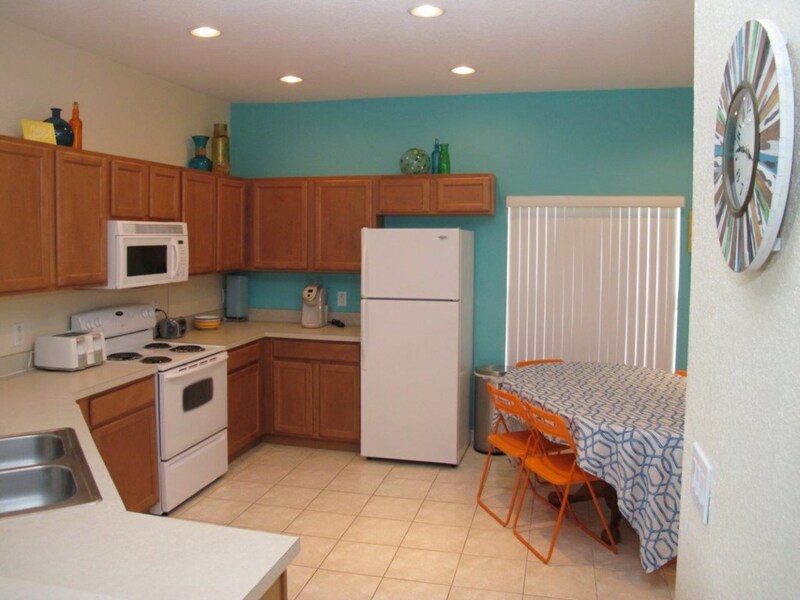 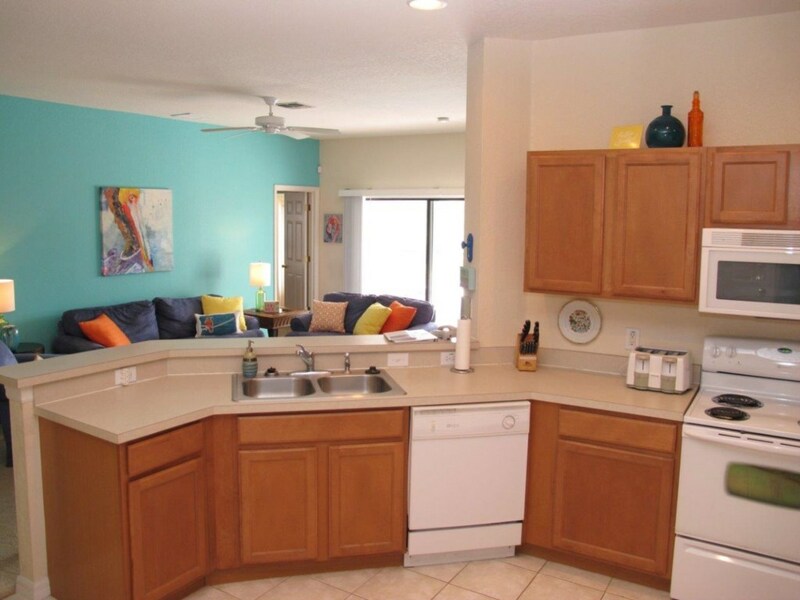 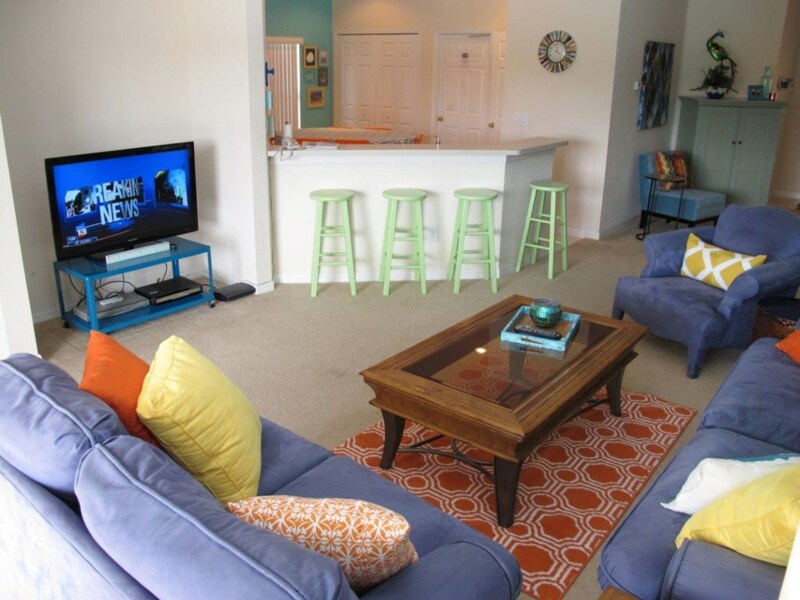 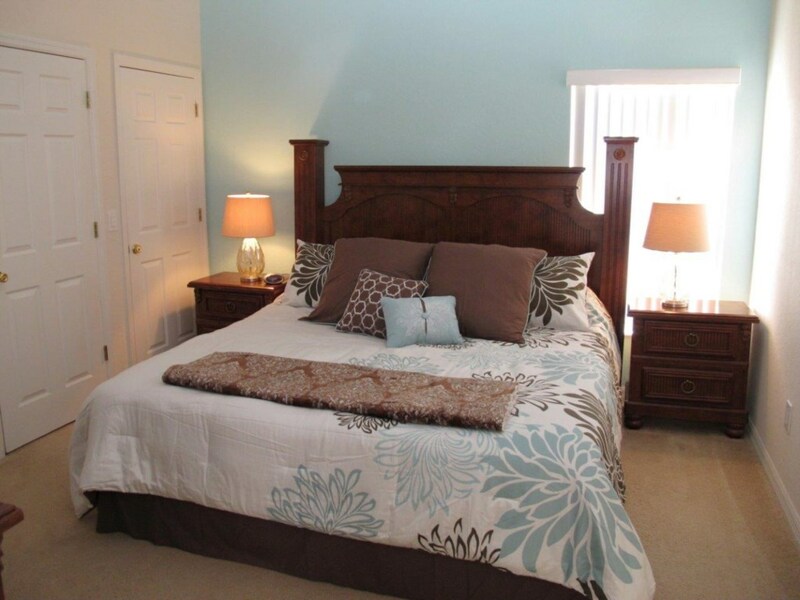 There is lots of shopping and restaurants within minutes (walking distance) of the community. 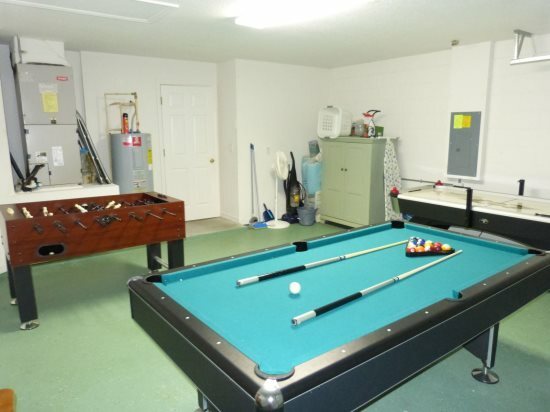 The Irish Pub right outside the gate of our complex is very popular, a lot of fun for the whole family. 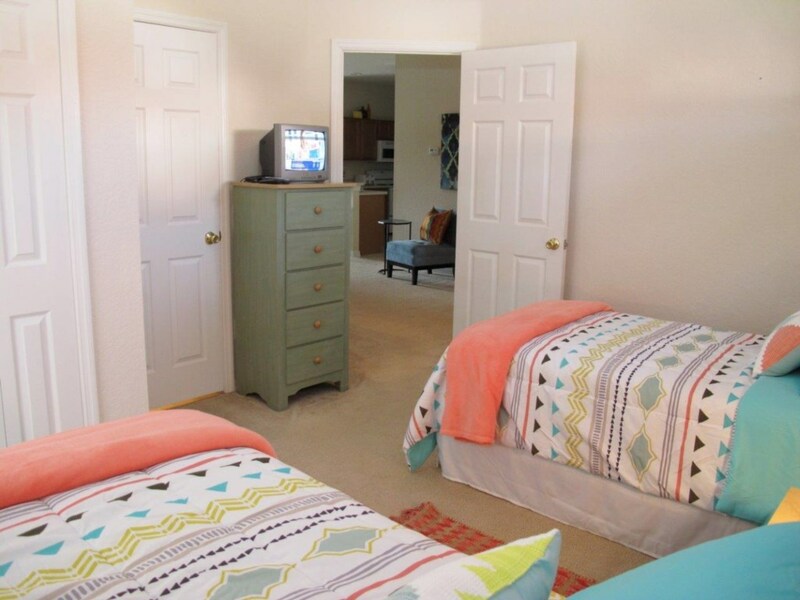 High Grove Resort itself has a club house with concierge services, a full exercise room, games room, planned activities and lounge room with movies, large heated swimming pool with spa, children’s playground and even an outdoor mini golf course.